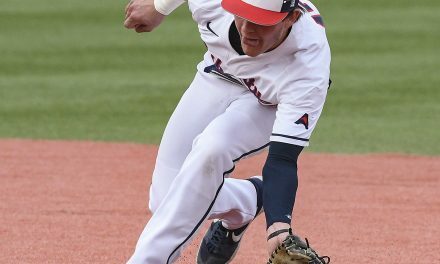 A successful road trip for Liberty baseball concluded Sunday with a series victory over North Alabama. A first-inning homerun by Jonathan Embry coupled with an RBI single by Logan Mathieu put the Flames ahead 2-0 heading into the 2nd inning of Sunday’s rubber match. 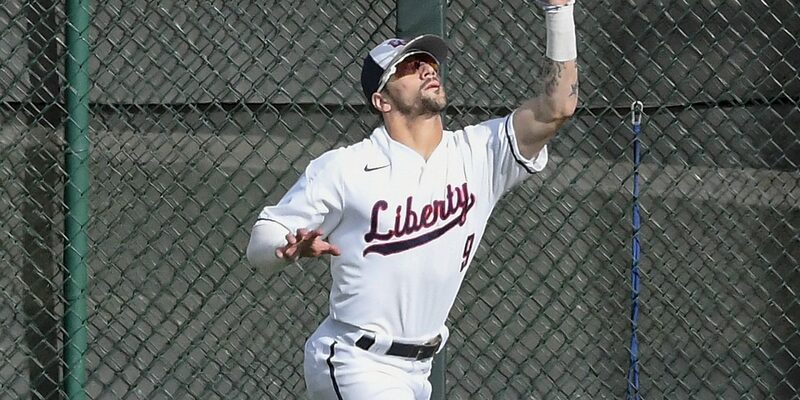 A Will Wagner RBI single put Liberty up by three runs, and a three-run homerun by Cam Locklear in the third inning put the Flames comfortably ahead, 6-0. North Alabama plated two in the fourth inning, but Mathieu and Locklear both homered in the fifth to keep Liberty ahead, 8-2. The Lions scratched a run in the sixth and two more in the ninth, but Liberty held on to secure an 8-5 victory. 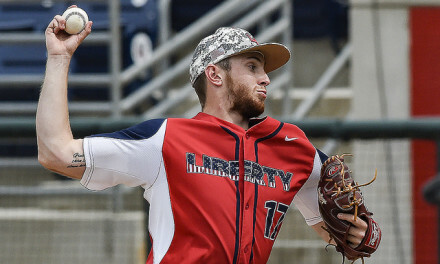 The win ended a four-game road trip for Liberty, who defeated Elon last Wednesday, April 3. The Flames sit atop the ASUN standings with a 7-2 conference record. Liberty also boasts the best overall record in the ASUN at 24-7. Liberty plays host to Richmond this Tuesday, April 9 at 6:00 p.m. Following the Richmond game, the Flames will host perennial ASUN powerhouse Stetson in a three-game set before traveling to Wake Forest next week.